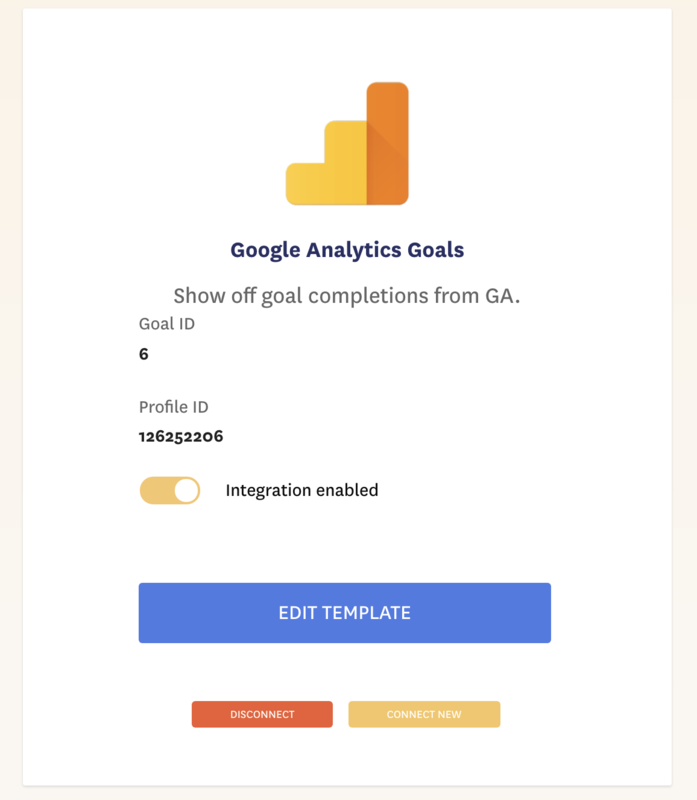 If you configured Google Analytics Goals to track recent orders, signups, webinar opt-ins, or anything else, you can connect those Goals completions with Fomo in a couple clicks. Note: if you are seeking to connect Google Analytics inside your Fomo dashboard for click-through conversion reporting, go here. While logged into Fomo, visit the integrations tab and search for "Google Analytics Goals." Back inside Google Analytics, click the "Goals" tab just 2 icons beneath the "View Settings" tab you previously clicked. Here you'll see all your active GA Goals. Determine which Goal you'd like to show off with Fomo, and copy the "ID" from the 2nd column. In the example above, if I wanted to show off how many customers buy Fomo Add-ons, I would copy "8" as the Goal ID. Finally, back inside your Fomo interface, paste the Goal ID in the remaining form field and click Connect. Going forward, Fomo will automatically fetch the last 24 hours' goal completions and their monetary value (if exists) on an hourly basis, clearing out former notifications on each import. You may connect as many unique GA Goals as you'd like, each with their own custom messaging. Just click "Connect New" and rename the new integration instances to stay organized.